Tygon 2375-C I.B. tubing, which is virtually unaffected by chemical sanitizers and cleaners, is specially engineered to deliver an outstanding performance in an environment where harsh chemicals are used. Because of its robust, polyester braid reinforcement construction, Tygon 2375-C I.B. holds a full vacuum rating, ideal for suction/delivery side of any chemical transfer. It is also hydrophobic and resists the sorption (absorption/ adsorption) of aqueous fluids. This reduction in sorption minimizes the risk of fluid alteration in single or repeat-use applications. Until now, clear, flexible tubing was restricted from use in many applications due to concerns over plasticizer extraction. Tygon 2375-C I.B. high-purity tubing is entirely free of any plasticizers. 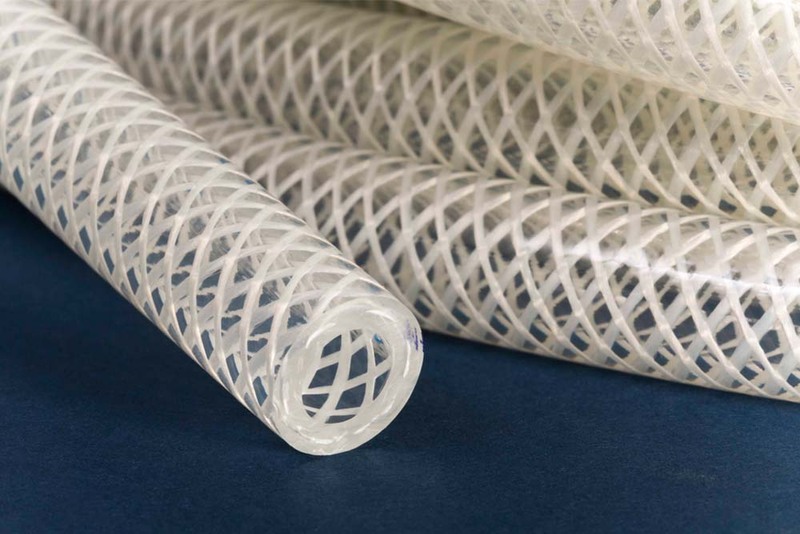 This unique tubing uses the latest in polymer technology to provide a clear (between braid) and flexible tubing choice for sensitive fluid transfer applications.